to grow up healthy and strong. 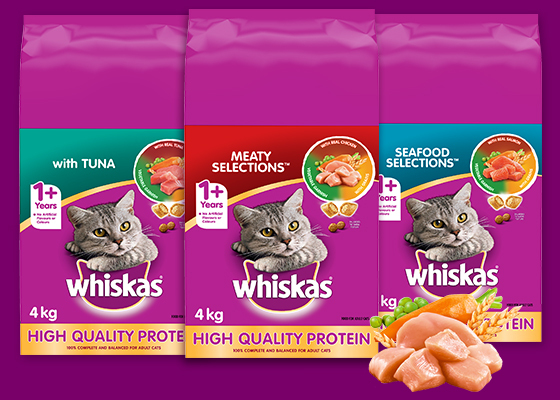 With Real Chicken, Salmon or Tuna. 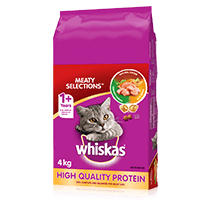 40% more dry cat food vs. another leading brand 1.42kg bag. 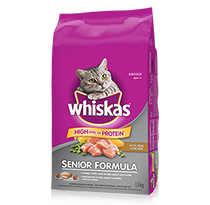 Cats can’t resist our WHISKAS® Recipes! 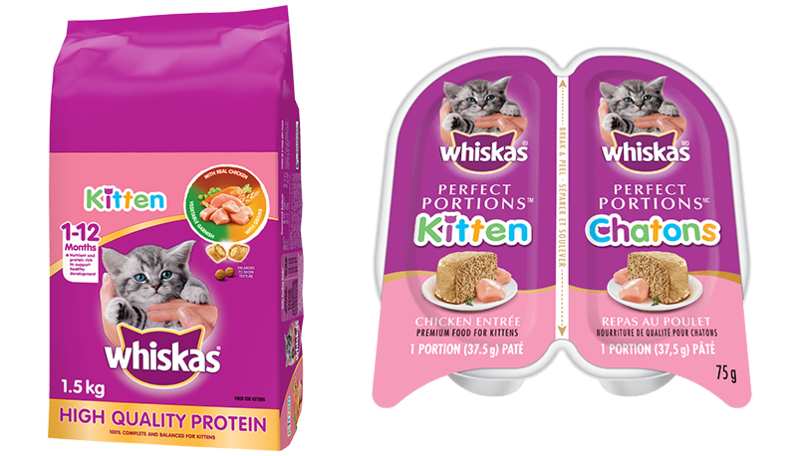 Each meal is carefully balanced to contain all of the nutrients, vitamins, and minerals your cat needs – and tastes great too. 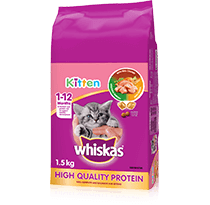 We have a range of food that provides your cat the protein they need and love at every stage of their life.